On this tour, you will ride through the countryside to experience the scenic beauty of the Nandi hills, while you visit a beautiful temple with influences from several dynasties as well as a quaint train station whose British style building is still intact. You will also visit a silk processing unit and a potter’s unit, where you can learn how a silk yarn is made and try your hand at the potter’s wheel. This tour is inclusive of breakfast, lunch and non-alcoholic beverage along the trail and will be a guided experience. 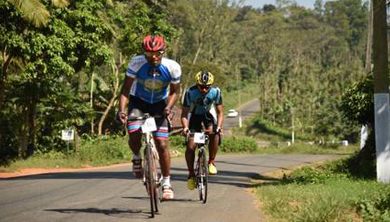 We will meet you at desired point at 6:30 AM and start driving by 6:45 AM to reach Nandi village by 8:00 AM. We will start our day with a quick and nutritious breakfast before getting outfitted with a bike and helmet that will be provided to you. After a safety briefing, we will take off along the trail. The cycling trail will conclude by lunch time. Post an elaborate buffet lunch, you will relax and drive back to the city. 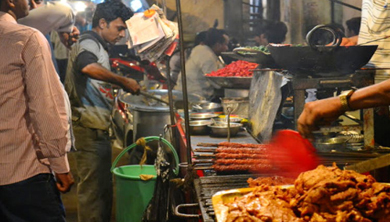 On this food walk we take guests on a journey across the old ‘Petta’ or City. We scoure the streets, lanes & by-lanes within the erstwhile mud fort built by Kempe Gowda I in 1500s in search of the tastiest vegetarian delicacies of Bengaluru. Some of the bakeries and restaurants here are nearly 100-year old. These food joints have die-hard foodies flocking despite the traffic chaos that plague the area. In between bites of food, we give some bytes of the local history too. Our first stop is a legendary sweetmeat store which doles out the best Kashi Halwa in town apart from other delicious sweets and savories. Next up we gorge on some tasty Kesari Bhaat at another famous joint nearby. Further down the road, we stop at a place famous for its dosas which some say might be the best in the whole of Bengaluru. Here we get to meet the owner & hear his ‘tea boy to restaurant owner’ story. If your hunger is not yet satiated come along us to another 100-year old bakery and sample some amazing naans (Indian wheat bread) and khatais. The grand finale is an idli (steamed rice cake) joint where the idlis literally float in the chutney water. Private Vineyard Tour with Lunch. India has been a land of luxury and style where mesmerizing drinks have complemented Indian meals since ages. 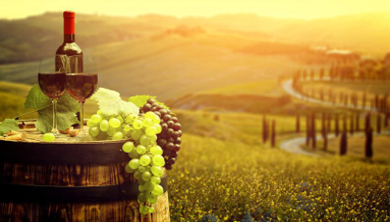 Wine culture stretches back to the sunrise of Indian history. Be it the prehistoric Indus valley civilization, the regal Mughal culture, the precedent British and Portuguese colonization years or the present scenario – the essence of this romantic beverage has made a mark and is here to blossom. This morning, get ready for an experience of Indian wine refinery in the outskirts of Bangalore. Enjoy the process of winemaking accompanied by a veteran guide. Relish a delectable lunch and cherish an entire culture that surrounds the numerous traditions to create great wines expressing the best of terroir.